You are buying VetriScience Cell Advance 880 For Cats & Dogs 60ct, model #0900722120 at ADW Diabetes, we offer a wide range of pet dietary supplements geared towards helping your pet achieve optimum health. We offer these supplements in both single and discounted bulk packs with the goal of helping you save even more. Shop with ADW Diabetes for all of your pet health supplement needs. 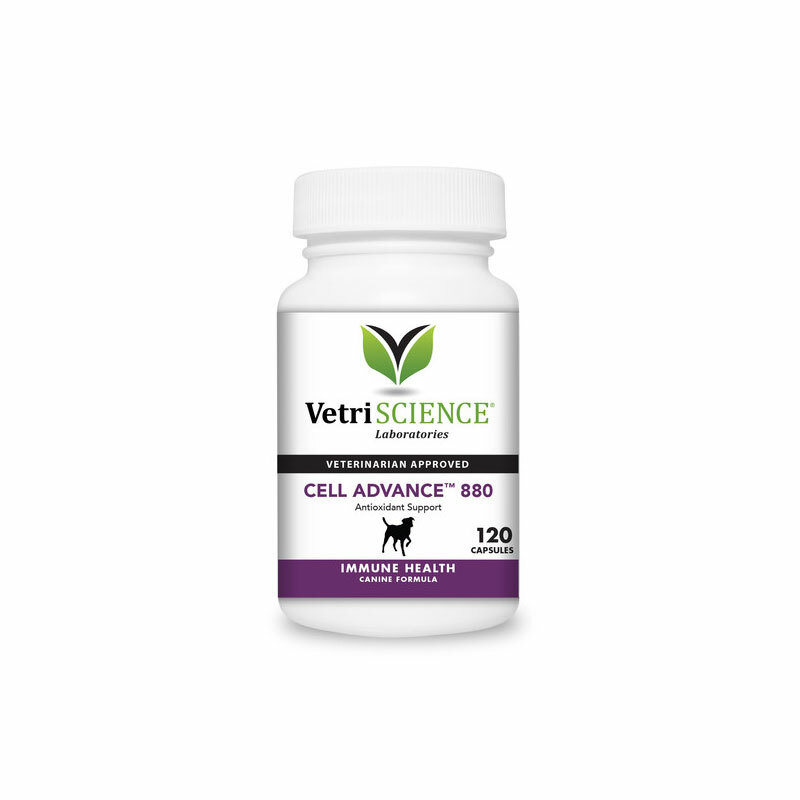 The VetriScience Cell Advance 880 For Cats & Dogs 60ct is an advanced antioxidant formulas for dogs which provides 23 powerful antioxidants at levels designed to complement any protocol. Cell Advance 880 includes vitamins A, C, E and B6 to support the immune system and protect against free radical damage. Antioxidants like alpha-lipoic acid offer protection from free radicals both inside and outside of the cell. Alpha lipoic acid might also extend the biochemical life of other important antioxidants like glutathione and A, C, and E. Coenzyme Q10 is a necessary co-factor for ATP production and immune system support. Cell Advance 880 also includes bioflavonoids like quercetin, rutin and hesperidin to support vascular and connective tissue health, maintain healthy collagen levels and protect cell structures from free radical damage. This product contains Quercitin. Do not use with blood thinners.